One of the hardest things to do as a company no matter how big, is to compete in a new market like EV, and win(like Telsa has done.) Recently, R&D chief Wolfgang Dürheimer has made the decision to stop production of the R8 e-tron before hitting the market. 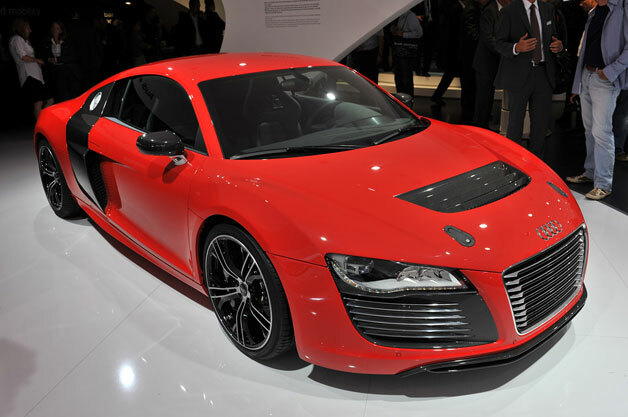 Audi came out with the R8 e-tron concept back in 2009 and projected the production version to be out last year. Well its now 2013 and the only R8's you see have a V8 or the V10 badge. Rumors were that the electric Audi would not beat the top competitor from Tesla, the Model S in more ways than one. For instance from a stand still to 60mph, the Model S was faster, but future developments brought the 0-60mph time to match that of the 4 door from Tesla and put down a Nurburgring time of 8:09:099, which is an achievement in itself. The price point for the e-tron was well over what the market is demanding now since Elon Musk's(CEO-Tesla) engineers have done the impossible, plus the german automakers electric car had a short range of approximately 133miles. The need for the petrol R8 is in a competitive market that has room to grow, and Audi is definitely a player in that $150,000 sports car market because it performs like its suppose to and you save a little bit of money from purchasing an Aston Martin or Lamborghini. So competing with Tesla, that after tax is close to $100,000, and the half a million dollar car from Mercedes, the SLS AMG Electric Drive that is simply amazing, halting the cars production doesn't seem like a bad business decision after all. 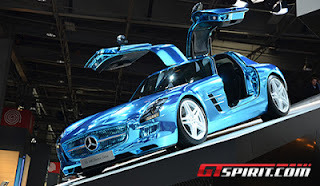 Just look at that electric SLS below, its beautiful and worth every penny. You can't compete with a company that is producing cheaper and still fun to drive production cars, or get the money you are asking if you dont have the style and mentality like the SLS AMG Electric Drive It might be better to use the technology in your regularly popular line up and take that market by storm.... that makes more sense.